The SteelSeries headset features 50mm drivers with a remarkably wide frequency response that delivers rich and detailed audio reproduction. 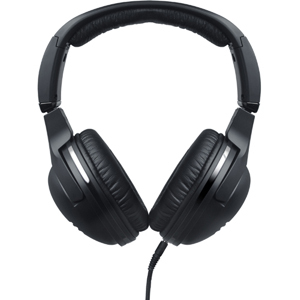 The headset delivers a clean and clear soundscape from mood setting music to critical 3D positional sounds and alerts. The headset offers two interchangeable ear-cushions that provide long-lasting comfort: Open-type cloth covered foam ear-cushions with hear-through functionality and closed-type leather ear-cushions with noise dampening foam that increases passive noise isolation. The headset can be dismantled in 4 separate pieces, which allows for compact and easy transportation. The right ear-cup features an "invisible" pull-out unidirectional microphone system, that can be discretely hidden when not in use. The durable braided cord includes built-in volume and microphone controls.